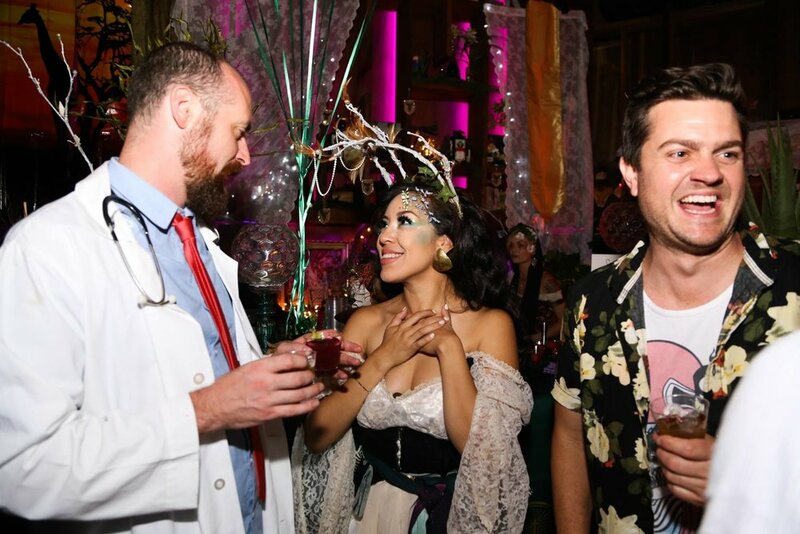 Now in its seventh year, Art Beyond the Glass is L.A.'s premier cocktail culture festival, featuring more than 100 top bartenders making cocktails and showcasing their artistry, from painting and sculpture to photography, live music and more! Art Beyond the Glass VII is taking place on Sunday, June 24, at Los Globos, the landmark nightclub located on Sunset Boulevard in the heart of Silver Lake. Opened as L.A.'s first American Legion hall in the 1930s, Los Globos is a massive two-story venue with multiple rooms and state-of-the-art sound and lighting. This year we are honored to be raising funds for the Women's Center for Creative Work, a 501(c)(3) nonprofit located in Frogtown. Combining a co-workspace on the L.A. River, project incubation facilities, residency programs, a rapidly growing network of over 20,000 followers, and a full calendar of artistic and professional development programming, WCCW advocates for feminist-led creative businesses and projects in Los Angeles. Tickets for ABTG VII are on sale at Eventbrite. General Admission includes cocktails, art exhibit, entertainment, and bar bites. In addition, guests will be able to purchase bartender art, buy raffle tickets and bid on silent auction items such as artwork, photography, rare spirits and more. All proceeds from ABTG VII will be donated to the WCCW. Art Beyond the Glass VII is being produced with the participation and support of the USBG Southern California Chapter. Posted in Events, Los Angeles and tagged with ABTG, Los Angeles, Silver Lake, Los Globos, The Moth. May 28, 2018 by Daniel Djang.